A FISHERMAN had a tussle with a two-metre shark after he hooked it while fishing with live bait off the Coffs Harbour Jetty on Monday evening. 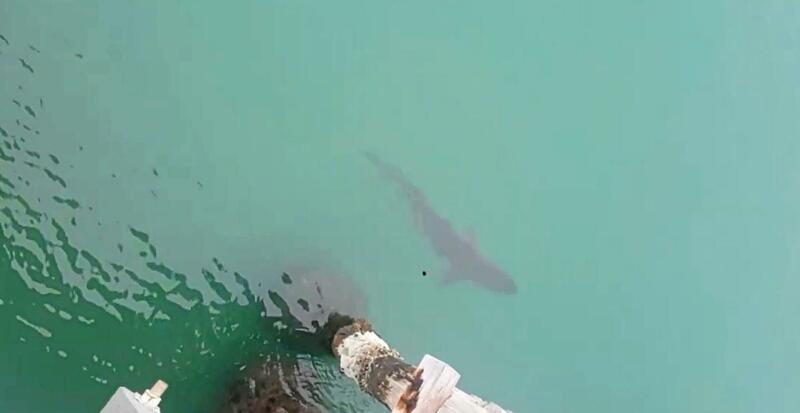 The shark broke him off on a pile-on, as onlookers filmed from the jetty. The video was shared by Mike Cleary on Monday night. "He almost got the shark ashore before the line on his light-weight rod was broken on one of the Jetty piles," Mike explained. "Surprisingly, people were still in the water swimming whilst this was going on on metres away." 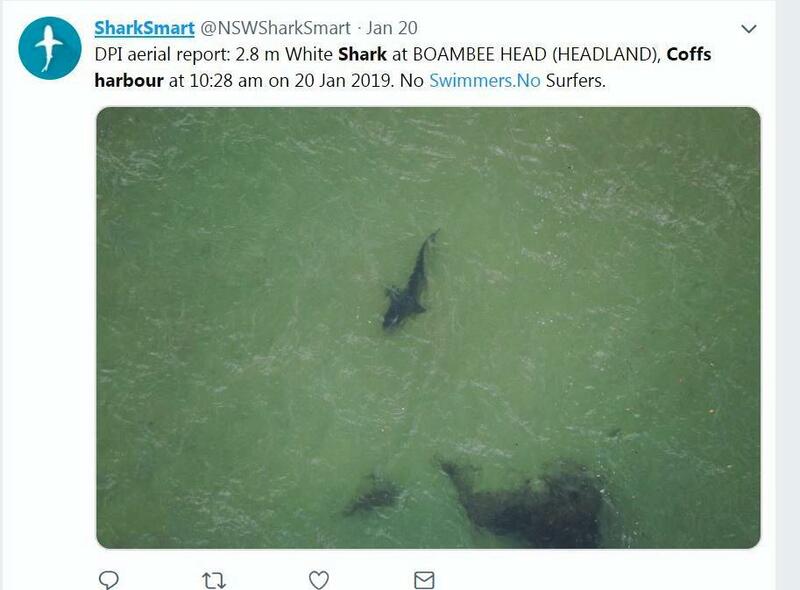 Advocate reader Darren Forrester also shared a photo of a two-metre shark that surfaced in the harbour near the Jetty on Monday at 7.20pm. 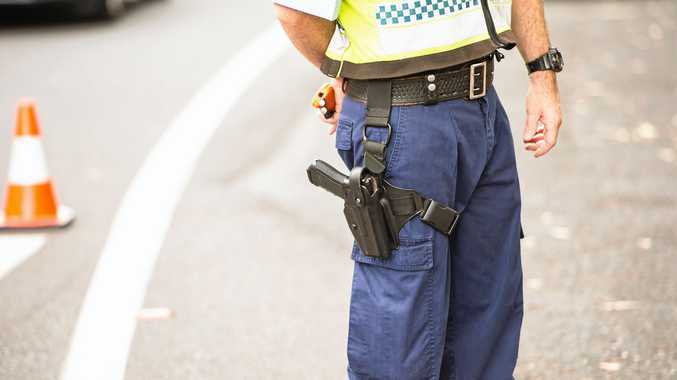 Authorities meanwhile reported a whaler shark sighting around that time in the harbour. 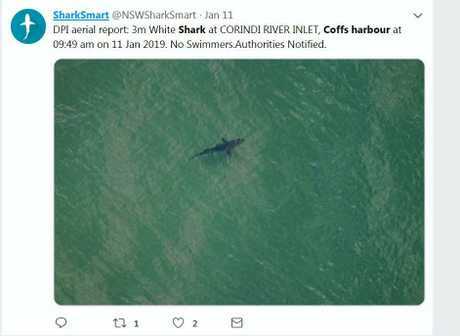 The incidents in the harbour came after a 48-hour period that saw more recorded shark activity than usual on the Coffs Coast. NSW DPI surveillance has captured a number of white sharks off the Coffs Coast. 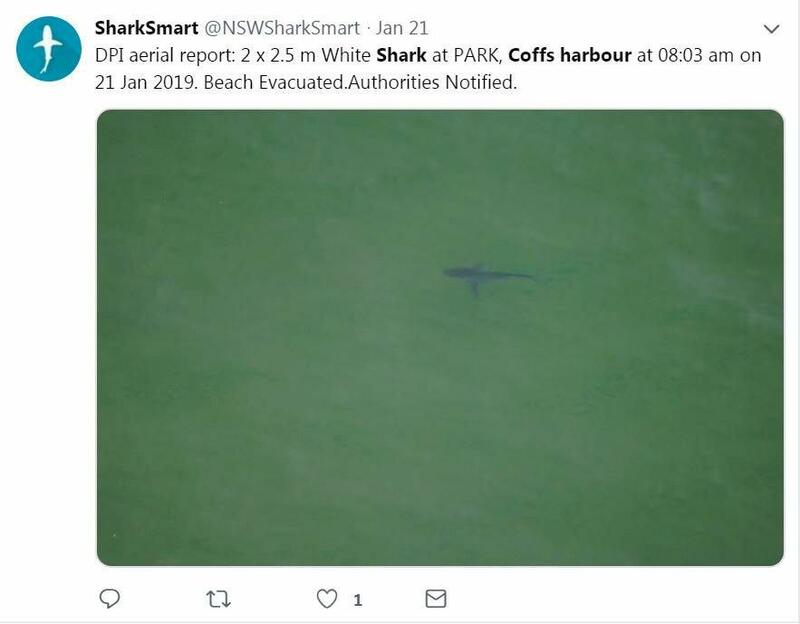 Large bait fish schools have been reported on the Coffs Coast in recent days perhaps explaining why so many sharks are moving closer to shore. Park Beach was evacuated after a white shark sighting at the weekend. NSW Fisheries advised a tagged white shark was detected off Park Beach on Friday at 5.53am.